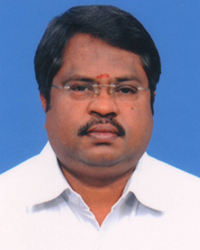 Venkatesan Ramakrishnan – Head of Chennai Office, Advocate and Arbitrator Certified by CIArb(U.K) Practicing in Madras High Court and has corporate experience of more than 15 years in the Real Estate / IT / Telecom / Finance / BFSI/ Stock Broking industries, highly motivated individual who is used to work beyond the regular working hours and voracious reader , Strategist , great motivator, expert in client managerial skills as he is genuinely interested in interacting with the people all the time and keeps himself updated as per the standard which he himself set very high, as his exposure to the number of real time problem solving is very high he perfectly understands the client requirement and deliver the deliverables as per the client satisfaction and beyond. He manages and guides team of advocates who in turn executes the work in precision as per the requirement of clients. He may be contacted by emailvenkat@lex-lawgic.comfor any professional assistance. 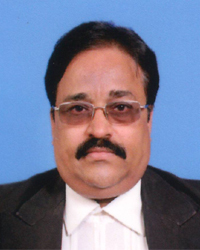 Sundararajan V S – Head of Bangalore Office, Advocate taking care of Chennai and Bangalore office. Practicing in Madras High Court and has corporate experience of more than 25 years in the Real Estate property matters. Handling Real Estate Developers both in Chennai and Bangalore starting from Identification of Lands, Title Scrutiny of the Property, Preparation all type of Deeds/Conveyance Deed/Joint Development Agreement/Lease Deed and Lease Agreement/ All commercial matters including contract Agreements etc. Being a Cost Account with Dual graduation in Commerce and General Law with Master in foreign Trade dealing with Clients in all matters pertaining to Commercial, Legal and financial, has good expertise and able take challenge of any nature for the benefit of our clients. Presently Handling all Real estate matters both in Chennai and Bangalore and adviser some of the Leading Developers in all their acquisition matters which includes drafting all type of agreements and also preparation of Lease Deed and Lease Agreement for commercial Building in which major clients (Lessee) are the IT /Financial Sector. Because of experience, he understands understands the client requirement and deliver the deliverables as per the client satisfaction and beyond. He may be contacted by email sundar@lex-lawgic.com for any professional assistance.